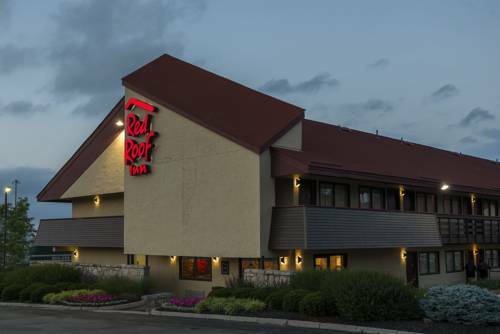 Only a quarter mile from the Dayton Mall, this Red Roof is just 5 miles from the University of Dayton and 7 miles from the Convention Center. Wright-Patterson AFB, Air Force Museum, Wright State University, Carillon Historical Park,Fifth-Third Field, and Nutter Center are all within a 20 minute drive of this hotel, while all the fun of Kings Island is just a half hour away. Stainless steel sculpture abstractly represents the Wright Brothers' plane arching in its first powered flight. Sometimes mistaken for a dino skeleton. "Flyover" was created in 1996 by David Evans Black. Harry Andrews was a bachelor and recluse who spent over 50 years building a medieval-style castle in Ohio for his "boy knights."